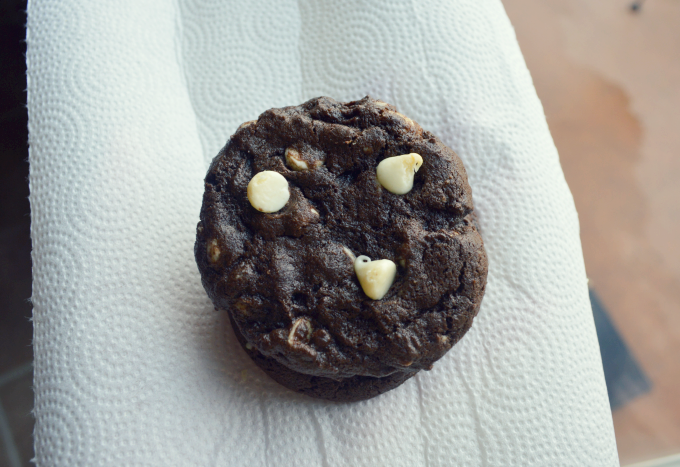 I'm all about a traditional chocolate chip cookie. But, specifically us ladies, sometimes you just reallllly crave chocolate. 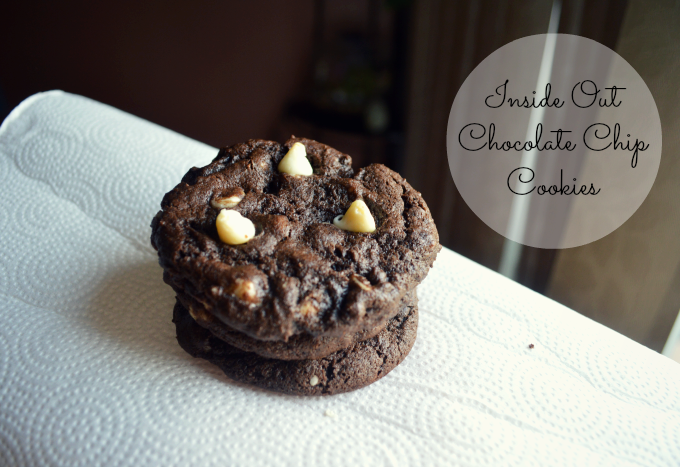 That's when inside out chocolate chip cookies come into play. 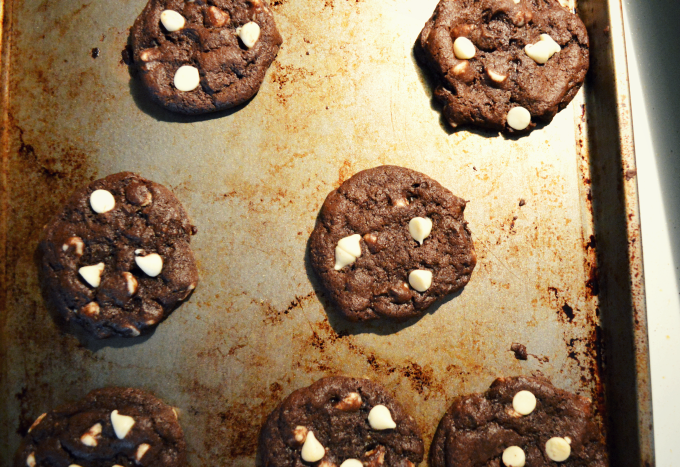 The recipe is fairly similar to the originals except you add some cocoa powder and substitute chocolate chips for white chocolate chips. This is a fun new chocolate recipe that's different than the usual brownies or chocolate chips. The only other time I had chocolate cookies was with mint chips baked into them so it was also nice to stray away from chocolate-mint cookies and save that for the winter months. 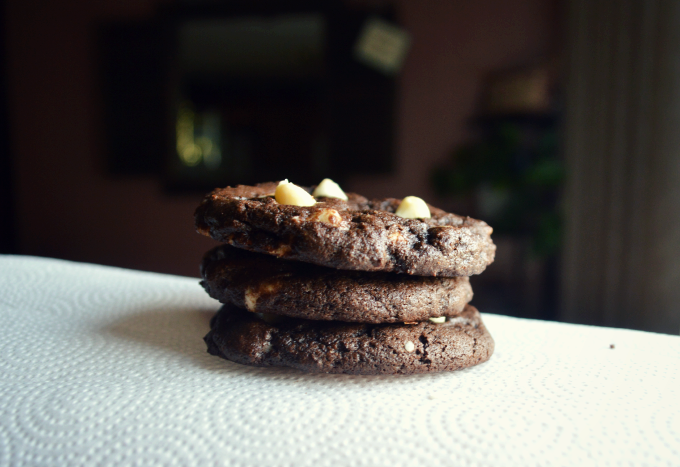 You can check out the full recipe at Sally's Baking Addiction here! Yum that just made me really crave cookies!! Ohhhhh my goodness, those look amazing!! I'm basically imagining how good they smell right now. Ill have to make cookies this week! 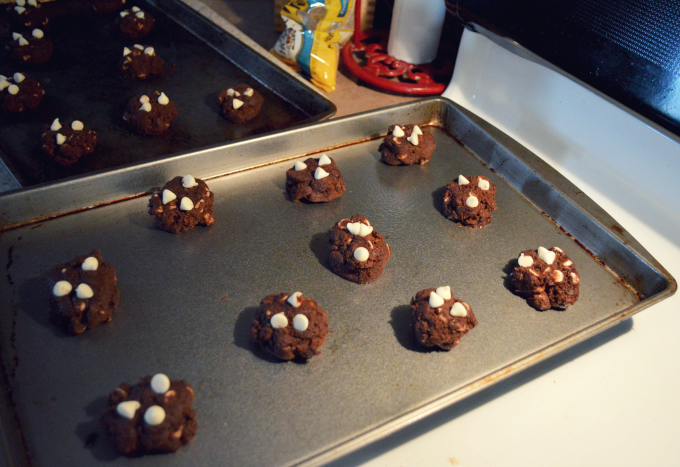 Hahaha, I am definitely a chocolate monster... and a cookie monster... and I love white chocolate so much. I could imagine these with some peanut butter chips, too. Oh yum! thanks for ur comment, we follow u! How fun! They look delicious. Those look really good to me right now! Yum! I might just have to go check the pantry to see if I have the ingredients. Thanks for stopping by Patti Cake! Wow! Those cookies look dangerously delicious. I made French Macarons for the first time ever this afternoon, and they turned out really good, so now, of course, I'm on a cookie baking binge!